A Selection of Alpaca Gift Ideas ... scarves and our stuffed alpacas ... enjoy! Beautifully soft alpaca scarves made in pure alpaca and NZ-made by Masterweave. Gorgeously soft and beautifully packaged. Choice of 15 colours - this colour is CANDY PINK. Size 1900mm x 195mm. Beautifully soft alpaca scarves made in pure alpaca and NZ-made by Masterweave. Gorgeously soft and beautifully packaged. Choice of 15 colours - this colour scheme is DRESS STEWART - in its own gift box. Beautifully soft alpaca scarves made in pure alpaca and NZ-made by Masterweave. Gorgeously soft and beautifully packaged. Choice of 15 colours - this colour is ROYAL FUSHIA CHECK. In its own gift box! Beautifully soft alpaca scarves made in pure alpaca and NZ-made by Masterweave. Gorgeously soft and beautifully packaged. Choice of 15 colours - this colour is RASPBERRY - in its own gift box. Beautifully soft alpaca scarves made in pure alpaca and NZ-made by Masterweave. Gorgeously soft and beautifully packaged. Choice of 15 colours - this colour scheme is FAWN CHECK - in its own gift box. Beautifully soft alpaca scarves made in pure alpaca and NZ-made by Masterweave. Gorgeously soft and beautifully packaged. Choice of 15 colours - this colour scheme is ROYAL STEWART - in its own gift box. Beautifully soft alpaca scarves made in pure alpaca and NZ-made by Masterweave. Gorgeously soft and beautifully packaged. Choice of 15 colours - this colour is GRANITE (Silver Grey)- in its own gift box. Beautifully soft alpaca scarves made in pure alpaca and NZ-made by Masterweave. Gorgeously soft and beautifully packaged. Choice of 15 colours - this colour scheme is GREY BLACK CHECK - in its own gift box. Beautifully soft alpaca scarves made in pure alpaca and NZ-made by Masterweave. Gorgeously soft and beautifully packaged. Choice of 15 colours - this colour is BLACK - in its own gift box. Large stuffed alpaca soft toy - stands 32cm high and colour is white - solid colour. 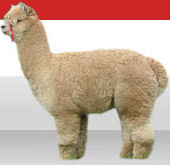 NOT made of alpaca skin and not filled with alpaca fleece. Beautifully soft to touch and hug! Large stuffed alpaca soft toy - stands 32cm high and colour is tan - solid colour. NOT made of alpaca skin and not filled with alpaca fleece. Beautifully soft to touch and hug!